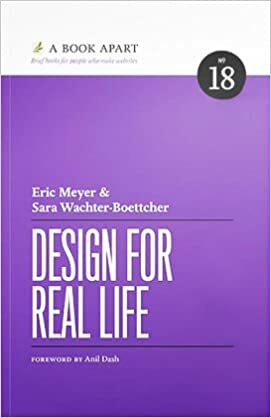 This guide is designed as a 'get started' or introductory read for the starting to intermediate designer who wants to learn or get more knowledge about cross-DPI and cross-platform design from the very beginning. No complex math and un-parsable graph, just straight forward explanations ordered in short sections for you to understand and apply directly to your design process. Software cannot take into account the way humans perceive shape, colour, and size — that is to say the software cannot understand the context of an object in relation to other objects, in the context of an overall visual language, or how a human would perceive the object. Certainly there are universal truths about what good design is. Good design should solve a real problem. It should be easy to use. It should be well crafted. “Web Design Is Dead.” No, It Isn’t. Every now and then we see discussions proclaiming a profound change in the way we design and build websites. Be it progressive enhancement, the role of CSS or, most recently, web design itself being dead. All these articles raise valid points, but I’d argue that they often lack objectivity and balance, preferring one side of the argument over another one. In this tutorial, we'll be covering how you can take concepts of Material Design and improve them to create better interfaces that are at the same time more distinct in their visual style. We'll also look at a few general tips before you start designing by using Material Design as a starting point. “We’re all back at square one again.” That was the overwhelming lesson we learned while designing our first major Apple Watch app for launch. The best products are built by teams with great communication bridges between designers and engineers. Whether you’re one or the other, at the end of the day… we’re all shipping software. When a design system is invited to the party, communication is even better. Every layout consists of objects — headers, footers, headlines, buttons, dropdowns, links. You can think of these objects as separate entities and design them on their own. Visual language is like any other language. Misunderstandings arise if the language is not shared and understood by everyone using it. Should designers be able to code? This topic never seems to die, with its endless blog posts, Twitter discussions and conference talks. But the developer’s involvement in the design process seems to be addressed very little. This is a shame, because developers have a huge amount to add to discussions about design. It’s in our mission statement: empower every person on the planet to achieve more. Designing for inclusivity opens up our experiences and reflects how people adapt to the world around them. Design is not just what it looks like and feels like. Design is how it works and sketching in code enables us to focus on that. The great lie we designers tell ourselves: that “design,” as a concept, sits apart from the world. As though “design” is somehow separate from, indifferent to, more pure than the society it sits in. And like it or not, designers, have a long, storied, terrible history of telling this particular lie. For designers, it’s easy to jump right into the design phase of a website before giving the user experience the consideration it deserves. Too often, we prematurely turn our focus to page design and information architecture, when we should focus on the user flows that need to be supported by our designs. It’s time to make the user flows a bigger priority in our design process. What could be so difficult about designing a decent date picker? Basically, we just need an input field and an icon that represents a calendar clearly enough, and once the user clicks on that icon, we pop up a little overlay with the days lined up in rows. Right? Stretching perhaps from the introduction of the first iPod in 2001, through the release of the groundbreaking iPhone 4 (and subsequent refinement with the iPhone 5), Apple was regularly lauded as best-in-class when it came to hardware and software design and the synchronicity of those elements. But things changed. When the American people go online to access government services, they’re often met with confusing navigation systems, an array of visual brands, and inconsistent interaction patterns. Websites intended to help people access information and services, like a veteran looking for help to go back to college, are splintered off of various agencies and organizations. This is Part 1 of a series examining techniques used in game graphics and how those techniques fail to deliver a visually appealing end result. Aims to be the biggest checklist of inclusive design considerations for the web ever. Includes items for accessibility, performance, device support, interoperability, and language. Improving your designs with tactics instead of talent. Here are seven simple ideas you can use to improve your designs today. There are two words every designer needs to feel comfortable saying: “no” and “why.” Those words are the foundation of what we do. They’re the foundation of building an ethical framework. We forget that human mind changes very slow, and the knowledge you have about human behaviour will not go old for at least 50 years or so. To make it easy for you, we need to keep consistent with a couple of principles that will remind us of how to design great products. We should be told at least once a month about these small principles until we live and breath good design. If you have considered creating one for your product or company, are in the process of making one, or have tried and given up, hopefully these insights will help you create a better design system for your company. Github design is pretty good: it gets the job done, it’s clean, has consistent visual language, its design is calm and suitable for everyday use. Given all that, there are still many areas that could be improved. Today we’ll take one interface - repository page - and look what UI problems it has and if we can fix them. 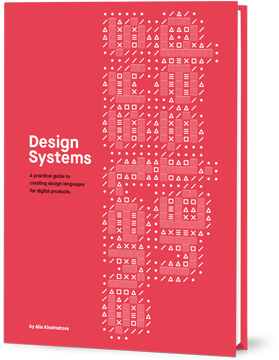 A design system is a collection of reusable graphical components, design standards, style guides, which define a common visual language for product teams. 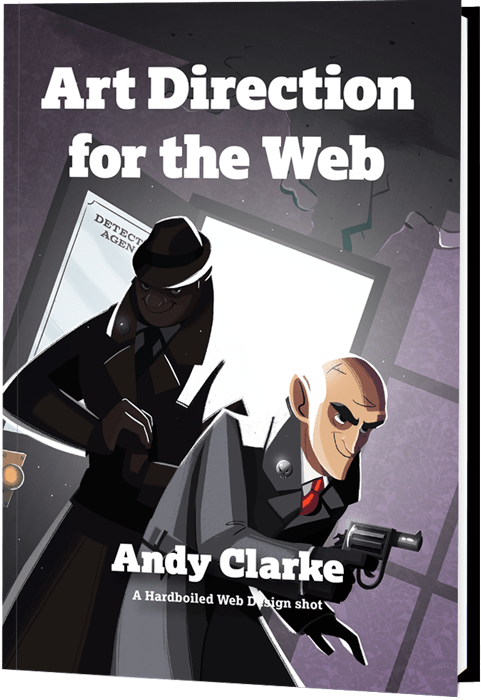 It accelerates the design process and bridges the gap between teams involved in building a final product by having clear graphics standards, that makes assembling websites from components super easy.